Even though it’s spring, it feels like a chilly winter day here on the Central Coast. We are getting some (more) much needed rain and it’s a good day to curl up with a good book and have a glass of Cabernet if you know what I mean. Speaking of wine, Andy and I took a trip to Napa Valley for the first time ever last month and it was one of the best getaways we have had! We seriously went to about 15 wineries and like eight restaurants and I’m ashamed to say that all the wine we brought home is already gone. It’s always my intention to save a bottle for a special occasion or to let it age, but that never happens. Instead, I make wine disappear… what’s your superpower???? I won’t bore you with the details of my trip to Napa because there are none! We went to drink and eat and that’s exactly what we did. We had full intentions of hiking the now very green mountains but it poured rain all four days we were there so chilling in the mineral spring hot tub in our room is what we did. 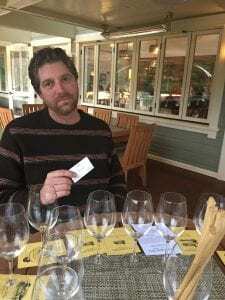 If you are planning a trip to Napa soon (Danielle!) 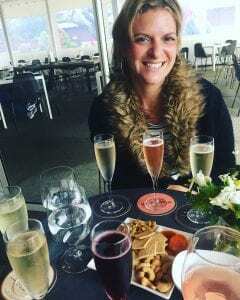 I highly recommend visiting Mumm Napa, Robert Sinskey, Stag’s Leap, Cakebread and Buckhorn Vineyards. As far as restaurants go, I loved Farmstead, Redd and Buchon. You really can’t go wrong in Napa with food or drink, everything is excellent. Lucky us, Andy gets an industry discount everywhere so we wine tasted for FREE and got bottles at 30% off, unbeknownst to us! Thank gosh for that business card!!! 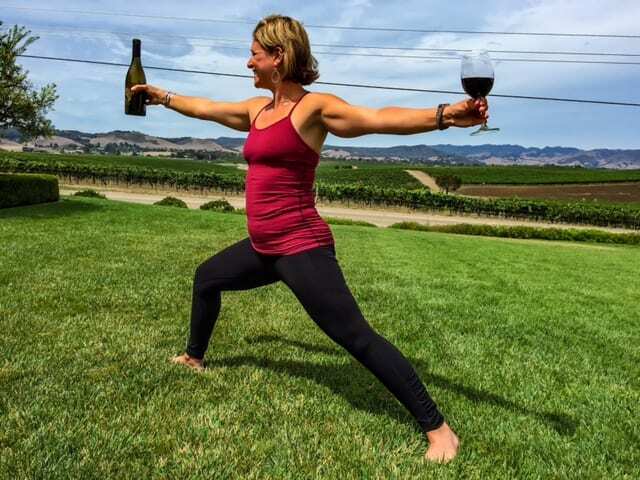 And now that April is here, it’s time for Yoga in the Vines, where lululemon athletica in San Luis Opisbo and myself team up for yoga and wine at a different vineyard each month. It’s a fun event that’s open to anyone and our first one this season is happening Thursday, April 27 at 5 p.m. at Silver Horse Winery in Avila Beach. The yoga class is free and the wine tasting following is just $5 per person. What a deal! Bring your own mat and a friend and save the date! I actually have two more events to announce today if you haven’t heard already! My next party in my backyard, OM nom nom, is going down Sunday, May 7 and this time it’s a brunch theme! While I teach yoga from 11:30-12:30, DJ Erin Biermann will spin records followed by brunch delights from Andy and a Mimosa and Bloody Mary Bar too. There will be jewelry from local designers AnahataRae and JayneandJames, a LuLaRoe trunk show, swimwear by JOLYN clothing, doTerra oils and blends and more! Tickets are just $22 and include yoga, food and wine. Get them here! And start planning ahead for OM away from HOME, my first ever yoga retreat in October featuring yoga, hiking, wine and chocolate.. how delicious does that sound?! 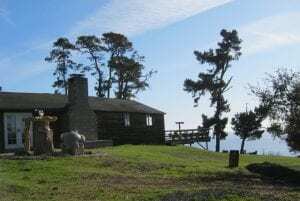 Join me for four days of “glamping” in Cambria, California at the rustic and breathtaking Camp Ocean Pines, that overlooks the ocean shore. I’ll be leading two yoga classes daily with guided hikes and wine tastings too at a most affordable price! 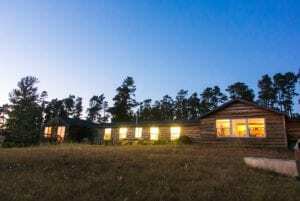 A $50 deposit will hold your spot and you read more on the retreat here. Let’s EAT now shall we? For the LOVE of TACOS we shall! Sour cream, cheese, tortillas and I don’t have the best relationship when combined so I prefer to make my tacos the Yummy Yogini way, Cinco de Skinny if you will. The recipe I’m sharing today is one of my favorites because I love stuffed peppers. You can literally stuff a pepper with anything and it can easily take the place of bread or say a tortilla. I love bread with all my heart and soul but when I eat too much of it, I immediately feel thicker, so this is an easy fix. This recipe is healthy, low in calories and fat and will take you 10 minutes to prepare and then scarf down. 1. Preheat the oven to 450. On a small baking sheet, place the peppers (stems and all) and some olive oil, salt and pepper, and let bake until they start to blacken. This should take at least 10 minutes. 2. While you are baking those, slice up your vegetables. In a large sauté pan, add the onions first and let them cook for 3-4 minutes, then add the zucchini, tomato, taco seasoning, salt and pepper. Let cook 5 minutes, stirring occasionally. 3. Add in the chorizo or not, if you’re vegetarian. Cover this and stir occasionally for another 5 minutes. My chorizo was frozen so I had to do a quick de-thawing. That’s why it still looks like a brick! 4. When all the meat is cooked through and everything is brown, add the beans and chilies. Drain them first if they are canned. Stir everything together and take off the heat. 5. Take out the peppers and let cool. Pull off the stems, slice them in half and take the seeds out. 6. On a large plate, place a bed of arugula and then the peppers on top. Stuff the peppers with the chorizo mixture and place some extra on the side with the sliced avocado. Beautiful, Colorful and Delish! Like the look of these? Check out another stuffed pepper recipe here!